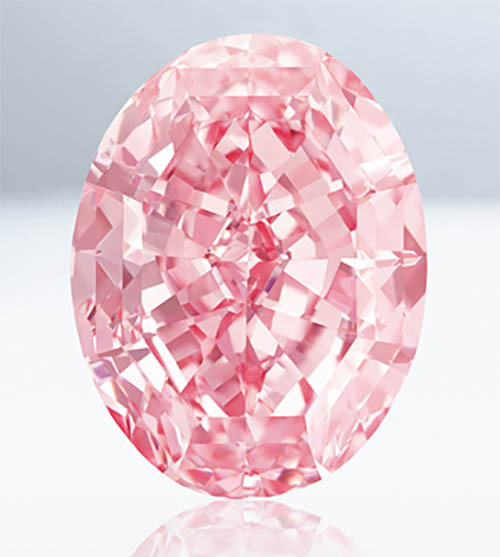 A star was born Tuesday when a 59.6-carat, flawless, fancy vivid pink diamond shattered the world record for the highest price ever paid for any gem at auction. 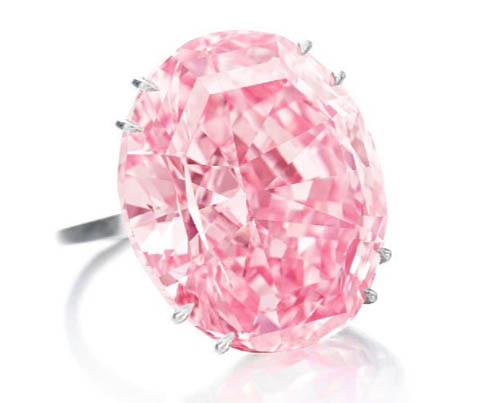 The Pink Star’s hammer price of $71.2 million at Sotheby’s Magnificent Jewels and Jadeite sale in Hong Kong easily surpassed the $57.5 million achieved in May of 2016 by the previous record-holder, the 14.62-carat Oppenheimer Blue diamond. The Pink Star was hardly a stranger to Sotheby’s auction block. Back in November 2013, the extraordinary diamond made headlines around the world as it fetched an astounding $83 million in Geneva. All the fanfare turned sour a few months later when the buyer defaulted on the payment. Sotheby’s paid the guaranteed minimum of $60 million and took ownership of the gem. In 2016, the auction house revealed that two firms — Diacore and Mellen Inc. — had purchased an interest in the Pink Star, with the third partner being Sotheby’s. 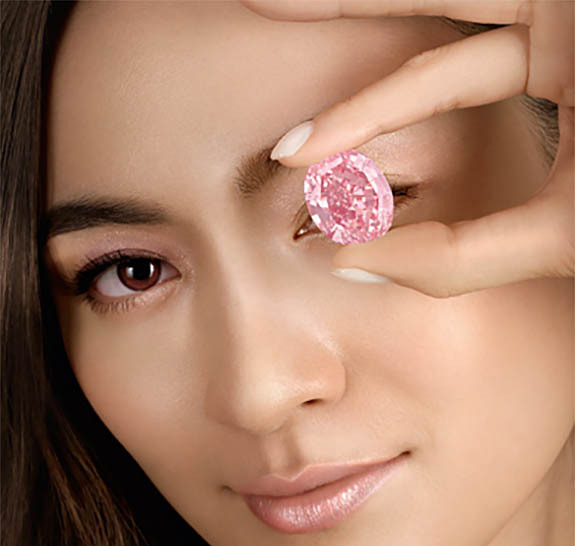 The newest owner of the Pink Star is Hong Kong-based luxury jewelry retailer Chow Tai Fook, which outbid two other contenders in an intense, five-minute contest. Chow Tai Fook operates more than 2,000 jewelry and watch stores throughout China. In 2016, the company purchased the Aurora Green diamond for $16.8 million at Christie’s Hong Kong. Sotheby’s pre-sale estimate had been set at $60 million, a sum that still would have earned the world record. The final sale price exceeded the estimate by nearly 19%.